Big Data predicts extreme weather blackspots for UK emergency services – Open Data Aha! 5 September 2015 – UK start-up company, KnowNow Information Ltd, is revolutionising how UK emergency services can plan for, and respond to, extreme weather conditions, to help save lives and millions of pounds. Using Big Data and the UK’s most powerful supercomputers dedicated to industry, it has developed a capability that can accurately predict the probability of certain types of emergency occurring, based on location and weather conditions. Big Data is one of The Government’s Eight Great Technologies to support UK science strengths and business capabilities. 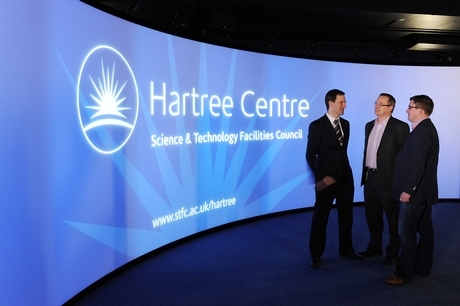 Part of the STFC Daresbury Laboratory, and located within the Sci-Tech Daresbury science and innovation campus, the Hartree Centre is driving growth and innovation between science and industry using intense computing. ‹ Can the promise of open data be fully realized?